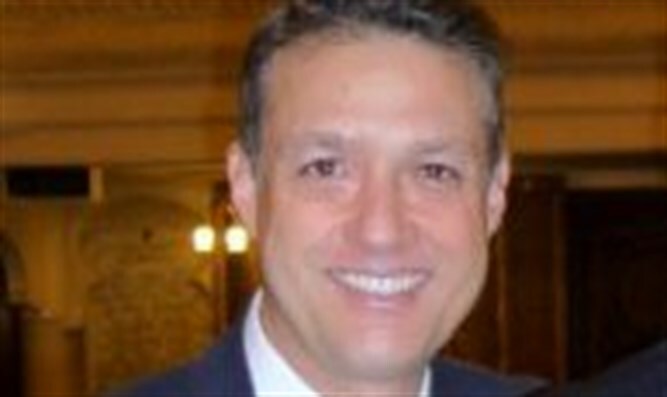 There is no lack of brains or information behind the US demand that Israel create a Hamastan in Judea and Samaria. Lally Weymouth (interviewer): "Will territorial concessions bring peace?" 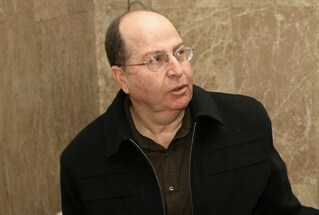 Defense Minister Moshe Ya’alon: "No, they would be another stage of the Palestinian conflict, as we experienced in Gaza. We disengaged from the Gaza Strip to address their territorial grievances. They went on attacking us. The conflict is about the existence of the Jewish state and not about the creation of the Palestinian one. Any territory that was delivered to them after Oslo became a safe haven for terrorists. Hence, Mnister Ya'alon is puzzled, and labels Obama’s 'West Bank'-retreat thinking as “irrational,” because he can’t understand why Obama' would want to enable Hamas to fire rockets into Tel Aviv from the 'West Bank'. I, however, submit that Obama and Kerry are very “rational” and highly intelligent. Obama was Editor-in-Chief of the Harvard Law Review in 1990. Kerry graduated Yale, class of 1966. I submit that Obama and Kerry know full-well that a 'West Bank' Hamastan rocket state will try to obliterate Israel. Obama and Kerry are not “irrational” at all. Quite the opposite, they simply are Israel-haters, and they most “rationally” believe a 'West Bank' PA State will destroy Israel. I also submit that Obama and Kerry are not the only “irrational” ones. I believe the entire Israeli leadership is irrational for their failure to see that Obama and Kerry want to enable Hamas to annihilate Israel. After all, does Ya’alon really think Obama and Kerry don't understand that Palestinian 'West Bank' katyusha rockets can obliterate Tel Aviv? Can Ya’alon really think Obama and Kerry, with all the intelligence of the CIA and of the Pentagon, are so uninformed? Do you really need to be personally briefed by Ya’alon himself to know that Palestinians will try to annihilate Tel Aviv with 'West Bank' rockets? Obama and Kerry have always understood full well that a 'West Bank' "demilitarized" Palestinian state would become a Palestinian terror rocket state.that will attempt to destroy Israel, And Obama and Kerry still want a 'West Bank state. Therefore, Obama and Kerry are not "irrational," and certainly aren’t uninformed. Obama and Kerry simply want Israel eradicated. And, to Obama’s and Kerry’s “thinking,” a West Bank Hamastan rocket state is exactly the “rational” way to achieve it. Obama and Kerry are not the main problem. The great problem is that the Israel leadership has failed to understand two facts: a) that a West Bank Hamastan will annihilate Tel Aviv, and b) Israel's destruction does not disturb Obama, Kerry and other European leaders . It’s the Israeli leaders - Prime Minister Netanyahu, Tzipi Livni, and Yair Lapid - who, along with the Jews of the Tel Aviv Ghetto, are constantly singing the 2-State solution song who are, as Ya’alon now says, “irrational.” Hence, before Ya’alon critizes non-Israeli leaders as “irrational” for pushing a 2-state solution, he should attack his own Prime Minister, his own Israeli cabinet, and the citizens of Tel Aviv for “irrationally” advocating for a suicidal 2-state solution. If Defense Minister Moshe Ya’alon doesn’t first disabuse Israelis themselves, and Israel’s highest ranking leadership, of the “irrationality” of the 2-State solution, he can be sure to continue to receive the same humiliating reception he was just subjected to in Washington DC.